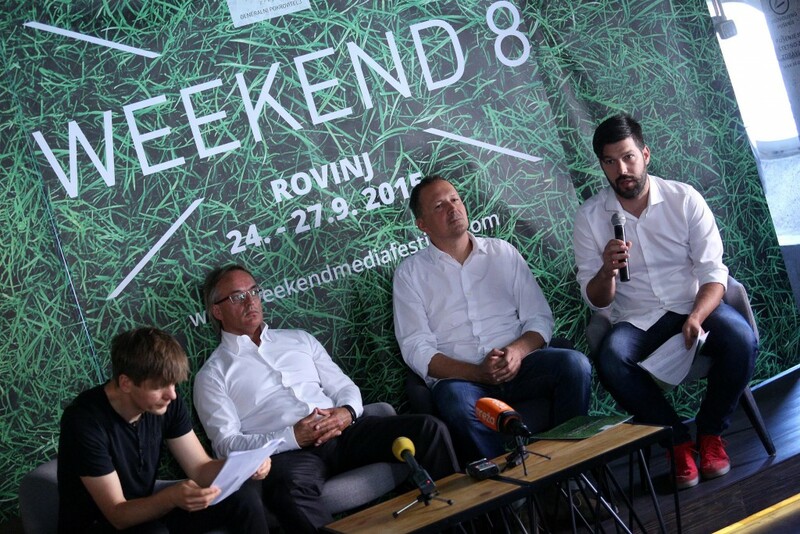 Zagreb, 2nd July 2015 – The 8th edition of the Weekend Media Festival, the largest regional communications festival, will be held from 24th till 27th September in the premises well known to all – the one of the old tobacco factory in the town of Rovinj, under the auspices of the Adris group. This year Weekend No. 8 brings a handful of new business topics with more than 130 speakers, and an abundance of interesting and topical lectures, panel discussions, workshops and presentations. “Weekend Media Festival firmly established itself as the biggest and most exciting gathering of the communications industry in the region. With each new edition, we bring you a fresh view on the industry, we enrich the program with new content, and we introduce visitors and the general public to the latest trends and innovations in the areas of communication, marketing and media. At the 8th festival we are riding this year, we will also have a rich accompanying program, therefore participants will not miss opportunities for informal networking in a relaxed atmosphere”, said the festival director Tomo Ricov at the presentation at Johann Franck premises in Zagreb. The program with a view to the future. What kind of new business environment can we expect? The conference part of this year’s festival covers a wide range of topics from media to marketing, through the showbiz and digital, to the key business issues in the communications, media and other industries. Significant technological changes are significantly changing communications around the world. The mass media are losing the role they had, the mediated communication through a variety of devices and/or media is present at all times and on demand, and the production of content is growing at incredible speed. 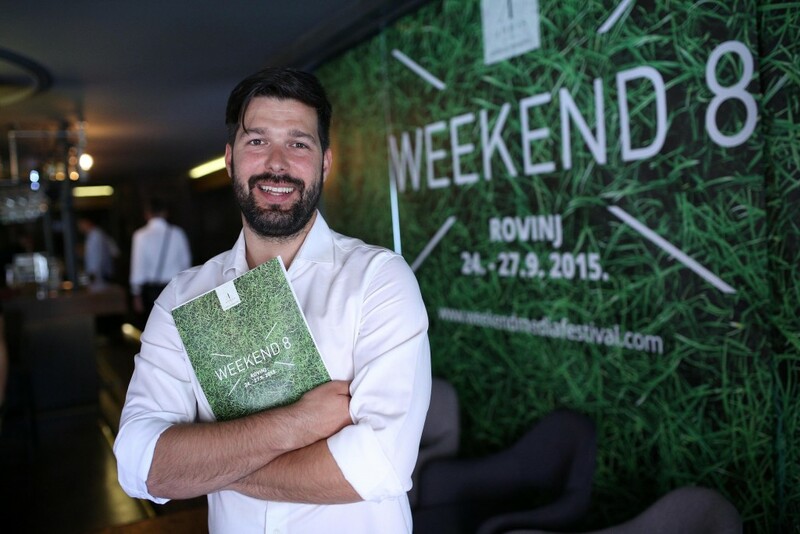 Nikola Vrdoljak , the director of the Weekend, spoke about the program. He would like to single out a few brand new topics about which, even in Western Europe let alone in this region, very little is known. “In an age of abundance of content, a little different economic policies are applicable. The content becomes as important as it has meaning, and how much valuable experience it brings. 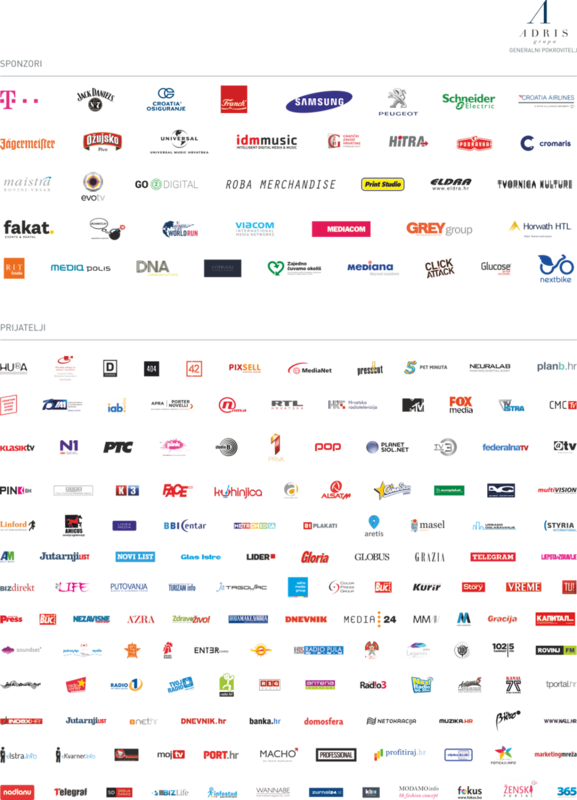 The content and experience offered by Weekend Media Festival cover probably the most exciting part of the economy today. Through the program, speakers and workshops we are trying to clarify the issues and trends that we expect in the future, and bring new business models that are already there closer. They are already here, but perhaps we have not fully adopted them, or they are not entirely clear. As the key themes that will mark this Weekend we can point out the native advertising and programmatic, one hot topic that is in Europe still in its infancy, and in the United States it is becoming the main approach to media buying. Everything you want to know about the programmatic will be explained to you by one of this year’s festival presenters, Caspar Schlickum, the CEO of Xaxis EMEA”, said Nikola Vrdoljak. Among the foreign speakers Brian Morrissey, the editor in chief of Digiday, and Ana Anđelić from New York Havas LuxHub stand out. They will speak about the burning topic of new business models in the media and marketing on the border of the triangle that consists of business, creativity and technology. We will also hear Piero Poli, the Director of Havas Worldwide in Dubai. He will speak about what the communications business looks like in this global city that, in a short time, turned into one of the new centers of international business and power. 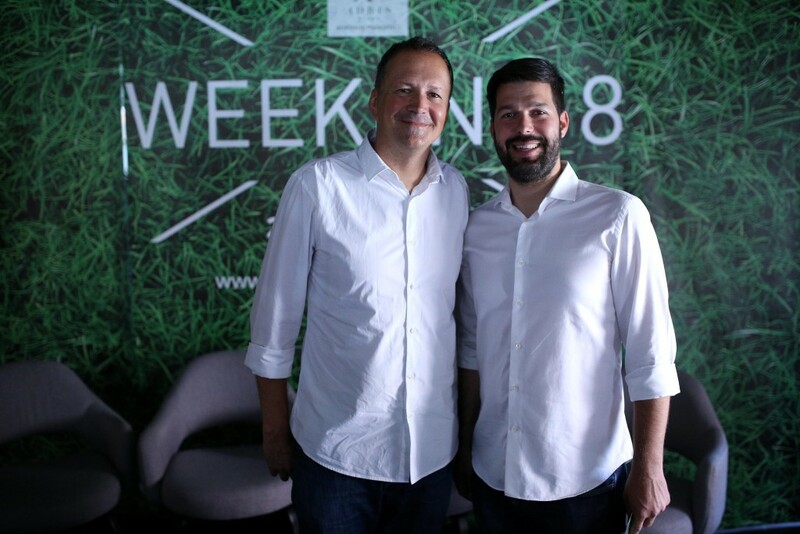 Of course, the 8th Weekend brings the leaders of change, technology companies from Silicon Valley with their own visions of the business in the future. Certainly not to be missed are lectures by Mark Dek, a digital expert and banking consultant who will be presenting his shocking forecasts of the future of banking. There is also Lynne Montgomery, PhD, the Vice President of the Business School COTRUGLI. She will talk about the generation Y. Last year’s debate on the restructuring of key Croatian companies will be continued this year by the means of a discussion with the most interesting business people from the wider region. 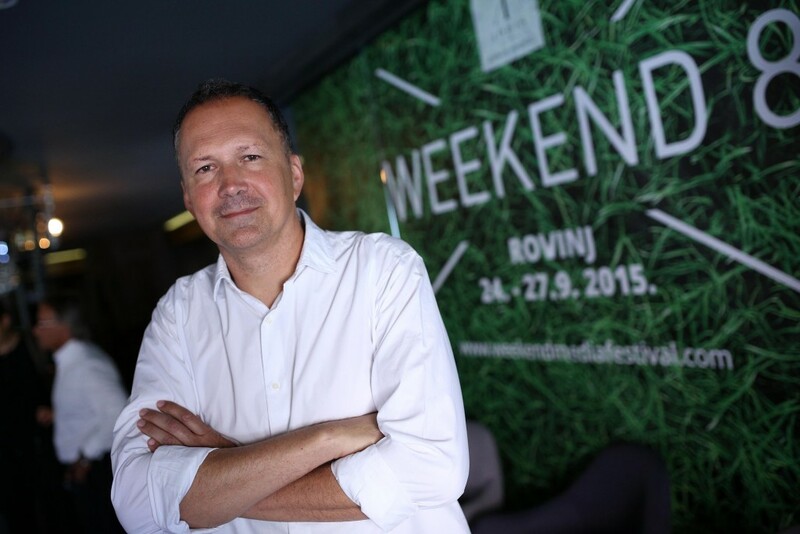 The 8th Weekend Media Festival will bring together more than 4,000 media, marketing and PR professionals, as well as about 350 students from across the region – and from the wider area as well – and nearly 600 accredited journalists will follow it. 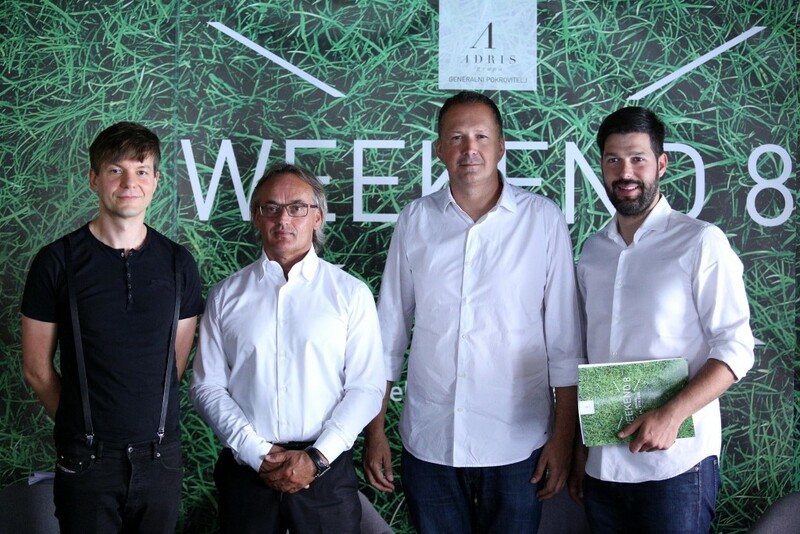 The General sponsor is again the Adris Group, as a link between the festival and the town of Rovinj itself. Regional showcase BalCannes and SoMo Borac awards remain close partners of the Weekend Media Festival. BalCannes will, for the 4th consecutive year, in cooperation with the Croatian Association of Communications Agencies (HURA) evaluate the best agency projects in six countries in the region. Applications have already begun and will last until 10th September (www.balcannes.com ). All submitted videos will be presented at the Weekend, and throughout the year will be available on BalCannes Yellow Pages site. The most important gathering of digital professionals at the Weekend, SoMo Borac, takes place for the 3rd year in a row. This year SoMo Borac reveals that the best regional digital projects – they will award as many as 24 statues printed in 3D technology, in eight categories! Registration for all participants is free and open. And registration for this year’s Weekend Media Festival has already begun at www.weekendmediafestival.com. Hurry, because the capacity of the old tobacco factory are still limited!